Transformed from a traditional Irish pub in 2012 to the amalgamation that is the venue today, we stay true to our pub roots and continue to serve you beer and other delicious drinks. In saying all this, let it be known… We’re pleased to be simple. We have beer, spirits, booths and smiles. We're big on our sports, and have plenty of screens showing live sports all day and night, and showcasing the biggest sporting events from Australia and the world. Our culture of ‘No fussin’, no cussin’, no hasslin’, no wrasslin’ makes us certain that you’re bound to have a time once you enter those doors. The Bottom End is always adding special events and tours to our program. Check out our socials for announcements on all our club events. 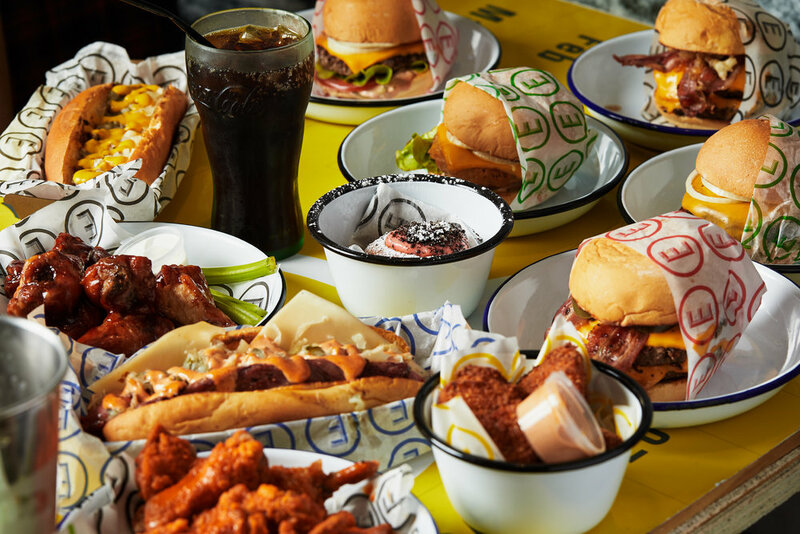 Our menu, designed by James Hurlston of Easey's, aka Jimmy's Burger's, is based on years of travelling the globe on a quest to find the world's best burgers. After thousands of research escapade's, he has turned his wealth of knowledge into a fun and delicious spread of comfort food. Jimmy utilises the highest quality produce to bring you the Easey's menu. Our menu at the bottom end is designed for our local clientele, and constantly changing, with plenty of specials. Come and have a pub meal, some snacks with after work drinks, or a full sit down dinner or function. We want you to be comfortable with our best take on comfort food, for that relaxing pub experience.